Gamification / Gamification Of Learning: Am I Using The Timer Correctly? Watching contesters on TV in game shows as the time ticking is exciting. Timers bring out the drama, the emotional connection, the palpable tension in the air. No wonder we want to use this game element or else gamification of learning to create engagement too. Under time pressure, learners pay more attention. Or do they? 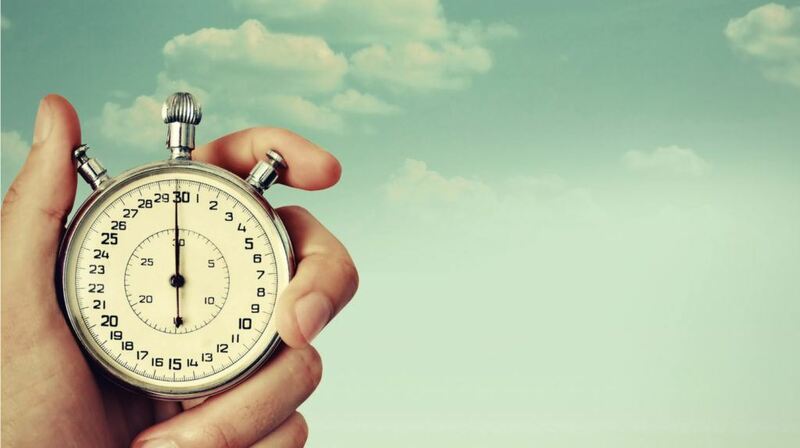 What could make your content more exciting than a timer? People love competing against time, or, at least, watching others competing against time on TV. So, you spice up your questions in your eLearning course with a timer. It's a cool, digital timer, counting down. The max score is 60 points, with every second you lose one. After a minute, you’re out. You snooze, you lose. You have your prototype to playtest (because you know that quick, early and frequent prototyping is crucial). And that’s when you get mixed results. Some of the playtesters think this is the most fun since sliced bread was invented, others turn red in frustration. What happened? It’s not just you. The following study  shows an example, where participants were taking a quiz (including points, timer, and leaderboard). Later, they were asked what they liked and did not like about the experience. Another study  looked at young learners taking math exams under timed versus untimed circumstances. The conclusion? When you apply time restrictions in learning, you’re creating a cognitive pressure on the learner. And it’s not just about the amount of time they need to complete a task within, it’s the sheer fact that they are timed. Sure, some love it! Competitiveness is exciting for some. On the other hand, others completely shut down under time pressure, even if they know the answer. So, the question is should you or should not use a timer in an e-learning course? Are your learners under time pressure at work? Are they under time pressure in the work environment when they're applying the knowledge or skill they learned in the course? If they are not, adding additional cognitive load and emotional pressure might not be a good idea. If yes, and it is essential for them to make quick decisions at work, then timer might be useful. For example, early on during new hire training, employees can "get a feel of reality" to decide if this is something they want to pursue. If you decide to use a timer, think about real work scenarios! Does it really matter, whether they make a decision within one second or 30 seconds or one minute? Or, time pressure is more like about "not dragging out" a decision making, but it doesn’t matter within that time frame when exactly that happens? If the former, you may want to include a sliding scale timer, which means learners get more points making a decision faster.If the latter, you may want to include a countdown timer, where learners must make a decision within a certain timeframe but it doesn’t matter how fast. In real life, does making quick decisions allow more time for other decisions? In other words, can you accumulate time? Or, does every decision have its own fixed timeframe? If you want to encourage learners to make decisions faster to be able to spend more time another question, use the accumulating timer approach: add the remaining time to the next question (with a maximum they can accumulate in total). This approach may not even affect points, just strategy. Should you use a timer to penalize? Ultimately, you want to provide a feeling of mastery for the learner. Using positive feedback loops, you reassure their knowledge or skill. A timer that penalizes the learner may affect their experience negatively. So, unless it is more important in real life to make quick decisions than getting it right, it’s more advisable to use a timer as an added bonus, rather than a punitive method. Let’s say, selecting the correct answer is worth 100 points. The timer maybe serving as the added bonus, where each remaining seconds is worth x points to be added to the total (or you may give x points if the learner selects the correct answer within a timeframe and 0 bonus if they run out of time). If this method creates a too complex scoring mechanism, separate the bonus from the point system. You may "pass" a question by selecting the correct answer, but you can get an additional bonus: one star, two stars or three stars for each, based on timing. Competitive players would want to get three stars, others may not care about the stars as much, and they wouldn’t feel like they are penalized by removing points. What should be the timeframe? Building on the suggestions above, make the time restriction realistic! Be clear about how the timer works. It's a good idea to do a "training round." You don't want to penalize learners because they're learning the mechanics. Let them play around first with no pressure. Finally: playtest. Adjust. And repeat. Ultimately, you want to achieve the 'flow' , a state of mind where the task is not too easy (tons of time, so it does not make a difference) and not too hard (frustrating).